Check out everything that’s on in Noosa. Looking for a new Image or a great look for your wedding check out the fabulous stylists at Mint Hair and beauty. A Must do - The Noosa Food & Wine Festival 16th - 20th May. Let Noosa Concierge help make your stay in Noosa easier, help with booking trips, restaurants, admin, check in service, baby sitting no job too small or too large. Noosa National Park - the perfect place to start your day! Every month we select the very best of what’s happening in Noosa to give you up to the date information on the latest events, special offers, things to do and much more. 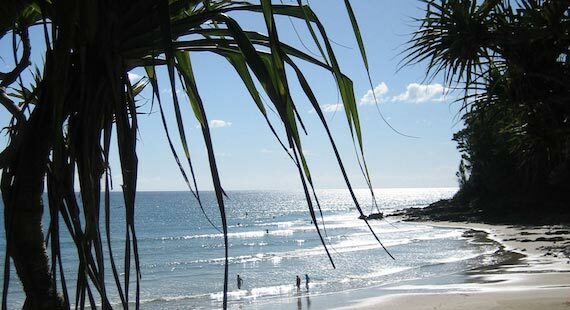 We’ve selected the Highlights from Noosa to ensure that you make the most of your stay. Whether you’re here for a few days or a few weeks, these are some of the things that you really must do. Noosa is surrounded by lots of very special places and here we give you some ideas of great things to do and locations to visit. Easter fun......plenty of boats on the Noosa River. Whatever you're planning today, have a great Noosaday! Sounds like a great plan !